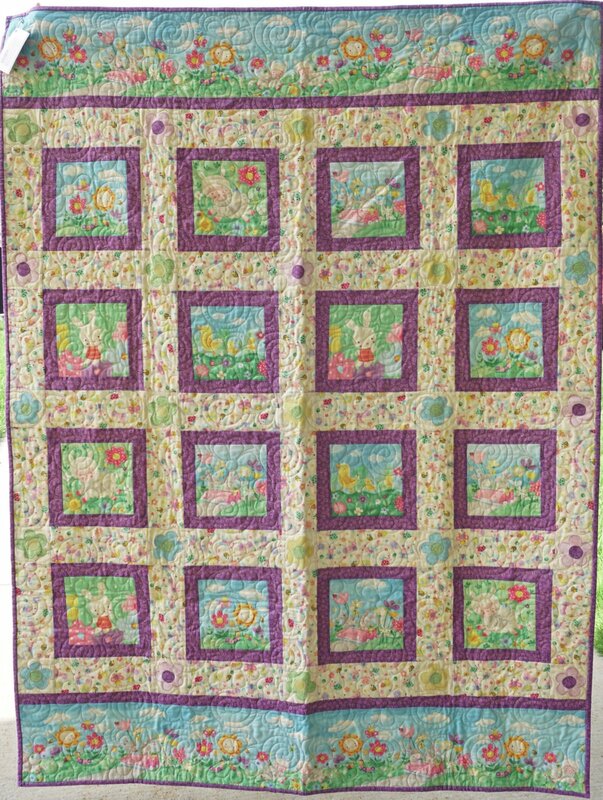 Spring Fling is the perfect quilt for a toddler bed for crib quilt. The bright colors and fun prints will entertain the youngsters. The fabric is Blank Quilting. The quilt is complete with matching back, hanging sleeve, and is long arm quilted edge to edge.